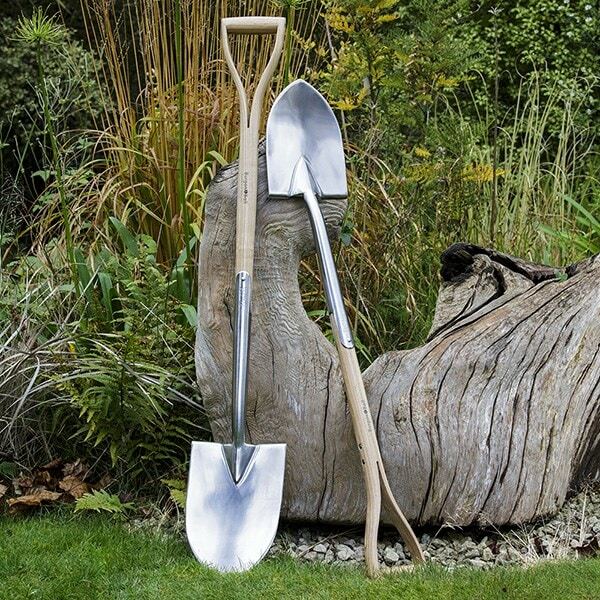 Move trees and shrubs that have outgrown their space with this RHS endorsed transplanting spade. The long narrow blade enables safe digging among dense planting and makes it easy to lift plants without damaging roots. The round leading edge and mirror-polished surface allow cleaner soil entry to make digging easier. Made from hardened stainless steel, the rust-resistant blade will hold its edge without the need for re-grinding. Comfort treads let you exert plenty of force without damaging your boots or hurting your feet. The head fastens to a solid ash shaft with a strap-jointed socket, creating a flex point for added resilience under pressure. A double-riveted ‘Y’ handle provides a secure comfortable grip.